This has nothing to do with music, film scoring, the entertainment industry, or anything like that. But after what happened today, I have to share. 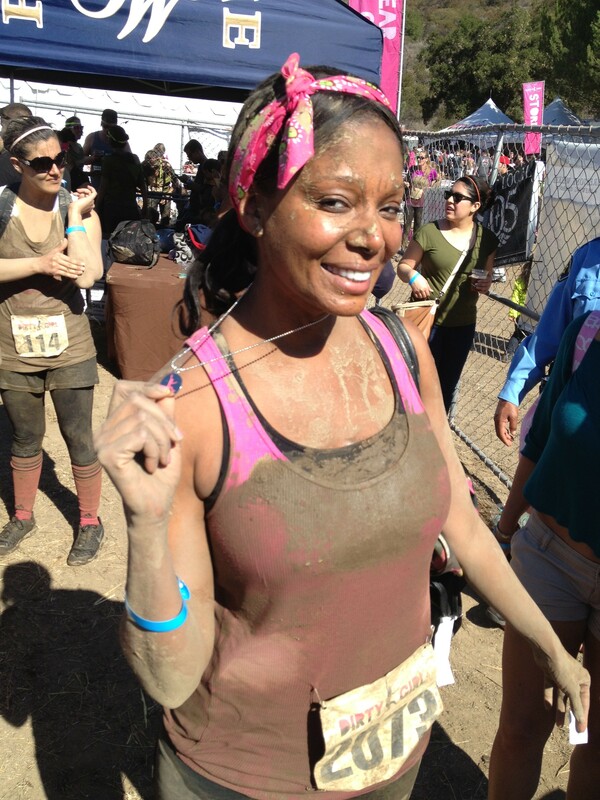 My wife Samone, an accomplished marathon runner, participated in the Dirty Girl Mud Run & Obstacle Course in Ventura County, California this morning. As you can see from the photo below, she gave new meaning to the phrase, “dirty picture.” The pendant she’s holding is her completion prize. She went through a lot to get it. Literally.